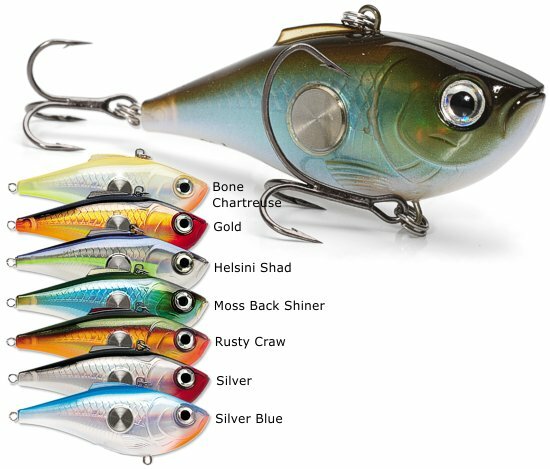 The Clackin' Rap started the Clackin’craze with its signature Clackin' Cadence Rattle, the metal-on-metal single ball steady beat noise maker that fish can't resist. Transluscent textured body with internal holographic foil creates fish attracting flash that only heightens this lures attraction. 3D holographic eye seals the deal. Hung with VMC® SureSet® belly hook and black nickel tail hook. Lipless design allows bait to be fished a multitude of ways. Size #6 is 2-1/2" long and weighs 7/16 oz.